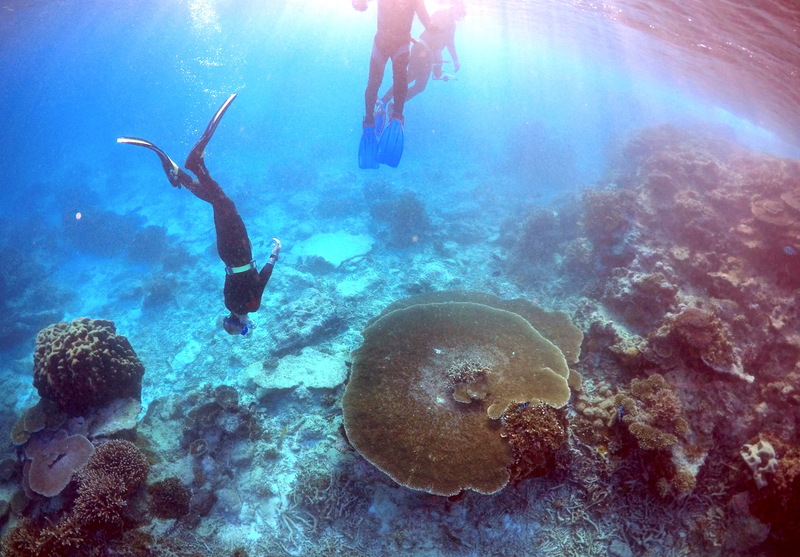 CANBERRA, Australia — Warming oceans this year have caused the largest die-off of corals ever recorded on Australia’s Great Barrier Reef, scientists said Tuesday. The worst-affected area is a 400-mile swath in the north of the World Heritage-listed 1,400-mile chain of reefs off Australia’s northeast coast, said the Australian Research Council Centre of Excellence for Coral Reef Studies. The center, based at James Cook University in Queensland state, found during dive surveys in October and November that the swath north of Port Douglas had lost an average of 67 percent of its shallow-water corals in the past nine months. Farther south, over the vast central and southern regions that cover most of the reef, scientists found a much lower death toll. The central region lost six percent of bleached coral and the southern region only one percent. “The good news is that south of Port Douglas, including the major tourist areas around Cairns and the Whitsundays (Whitsunday Islands), have had relatively low levels of mortality,” he added. The governments of Australia and Queensland will update the UNESCO World Heritage Center this week on progress being made to protect and improve the reef, including their response to coral bleaching. Federal Minister for the Environment and Energy Josh Frydenberg said Tuesday that the reef’s coral cover had increased by 19 percent in recent years before it suffered a “significant bleaching event” this year, caused by the El Nino weather effect and climate change. “What that shows is that the Great Barrier Reef is very resilient and quite strong,” Frydenberg’s office said in a statement. NOAA warns of global "coral bleaching"
The government’s plan to spend $1.5 billion over the next decade on improving the reef’s health. Hughes said the coral death rates in the north would likely make the task of keeping the reef off the “in danger” list much harder. “In its ongoing dialogue with UNESCO, Australia has said the outstanding universal values of reef are in tact because of the pristine condition of the northern reef. That’s simply no longer the case,” Hughes said. Researcher Andrew Baird said the 2016 coral die-off was “substantially worse” than the previous worst-ever event in 1998. “The proportion of reefs that were severely affected was much, much higher,” Baird said, adding that he did not have precise figures immediately available. The 1998 event was restricted to in-shore reefs around the Queensland coastal city of Townsville, while the 2016 destruction affected a much larger area, he said. Scientists expect that the northern region will take at least 10 to 15 years to regain the lost corals. They are concerned that another bleaching event could interrupt that recovery. There have been three extreme mass bleaching events in 18 years on the reef. In each case, the areas that suffered the worst bleaching were where the water was hottest for the longest period of time. Reef tourism operator Craig Stephen did not expect the dead coral would diminish visitors’ experience of one of Australia’s biggest tourist drawcards. “The patchiness of the bleaching means that we can still provide our customers with a world-class coral reef experience by taking them to reefs that are still in top condition,” Stephen said in a statement. Graeme Kelleher, who headed the Great Barrier Reef Marine Park Authority for 16 years, said last week that Australians must not buy the “political lie” that they can have the reef as well as major coal mines nearby. “We’ve lost 50 percent of the coral cover on the Great Barrier Reef in the last 30 years and the main cause of that is the burning of fossil fuel. I sincerely hope UNESCO rejects the claim that the government is doing enough,” Kelleher said.